This has been a very popular quilt kit in our store and we wanted to give our online customers an opportunity to see how cute this quilt is and buy kits. 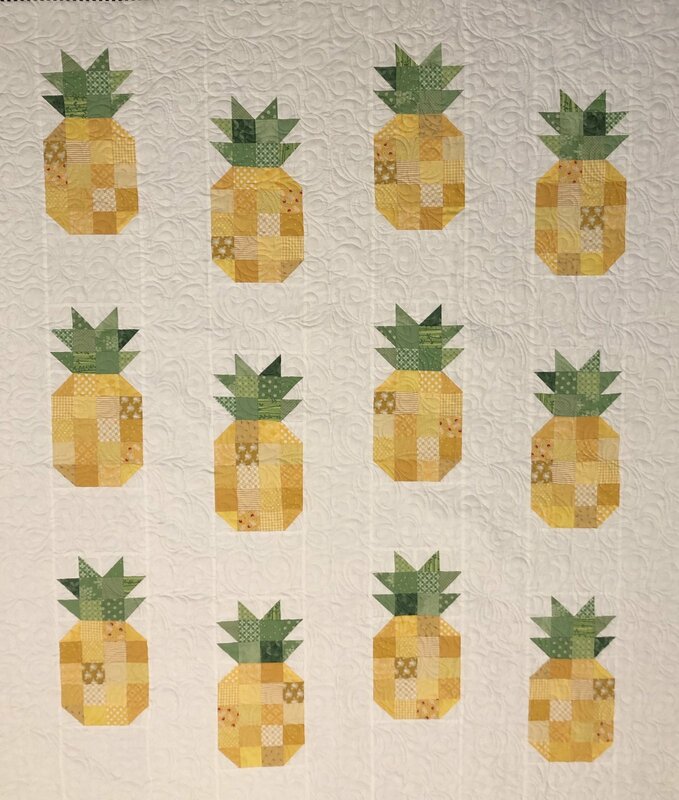 We love this fun scrappy Pineapple quilt. Kit includes all the fabric for the top and the binding and the pattern. Size is approximately 60"x69"